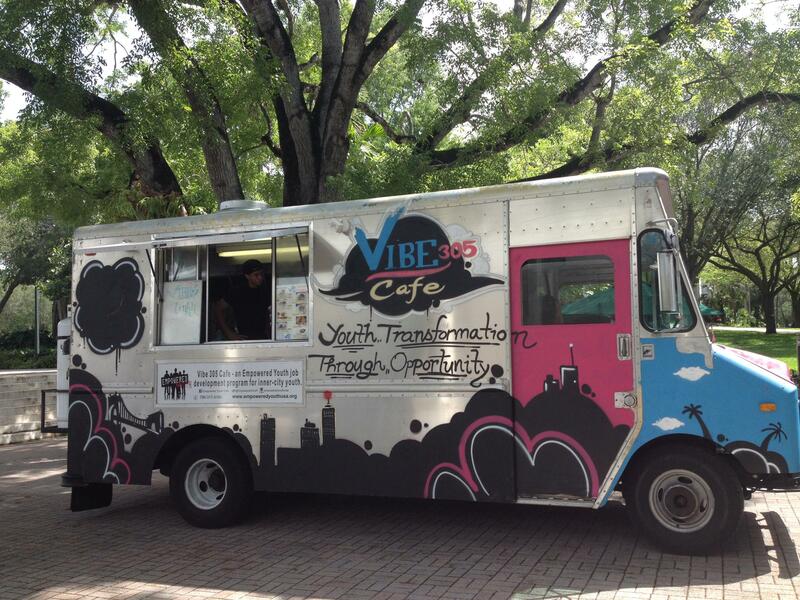 The Vibe 305 food truck is staffed by the young men participating in the Empowered Youth USA program. Most of the program's participants are referred to Empowered Youth by the Department of Juvenile Justice -- either by the state attorney's office or the public defender's office. Sometimes they are referred by caseworkers. They have committed crimes like shoplifting and selling drugs. Alex Velasquez, 18, joined Empowered Youth when he was 14. 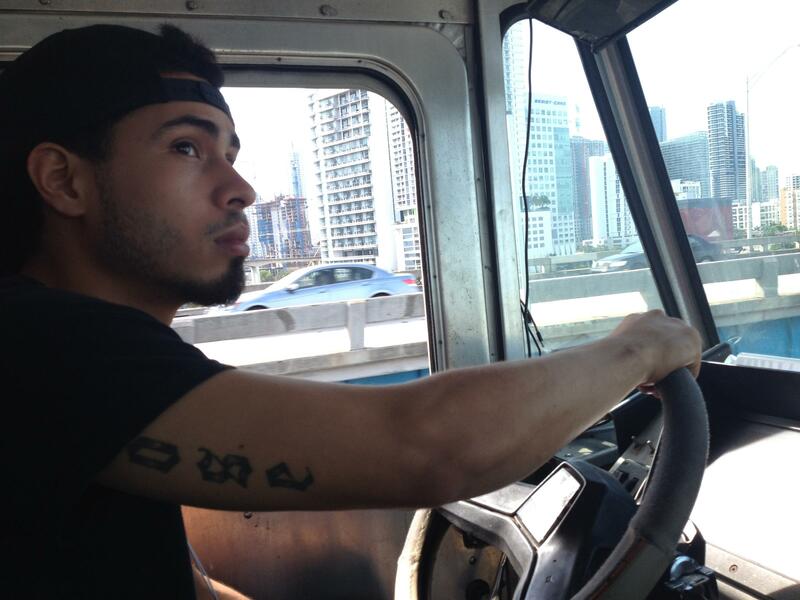 Now, he is a manager on the Vibe 305 food truck. The goal of the program is to work on character development and job skills in order to get them off the streets. "I was losing a lot of kids back to the street because they needed money," Empowered Youth founder and executive director Colleen Adams says. She set out to help them find jobs. She says she called fast food establishments, but it was not working. So she decided to create jobs for them. 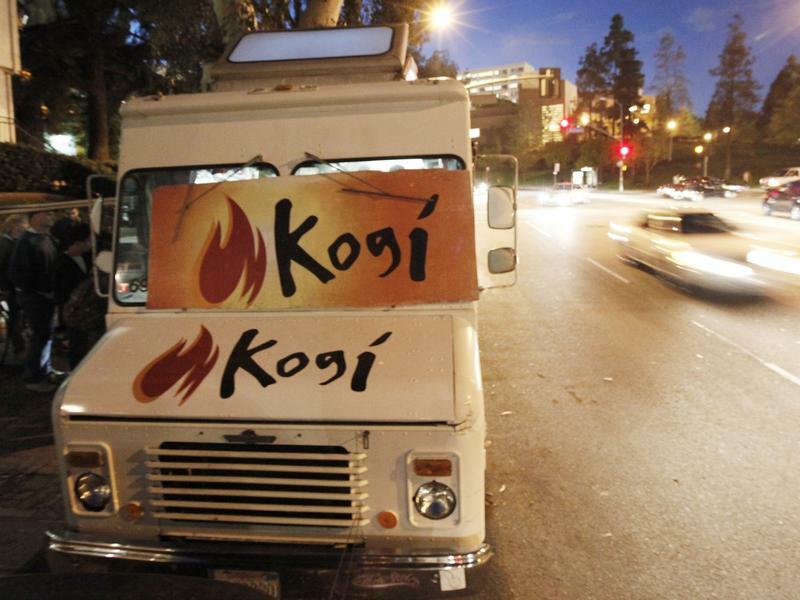 Using funds from private donations and fundraisers, she opened the food truck last December. Now, the truck employs fifteen young men on a rotating basis. Most of them are paid minimum wage. Alex Velasquez, 18, lives in Little Havana. He says when he was fourteen he found Empowered Youth online while looking for an alternative job to selling drugs. "I could be making money on the side," he explains. "Real, legal money, and I could be in charge of it. So I stuck with the program. I was proud that she actually chose me. It helped me grow." To work on the truck, the young men complete a series of classes in entrepreneurship and cooking. Ronnie Vincent is a chef at Joe's Stone Crab. He helps out in the truck, and also teaches cooking classes. "The benefit of this job in reality is that if you make several mistakes you can get the opportunity to stay working, but in the real world, if you're making mistakes costing the company money, you won't be working," he explains. Vincent grew up in Miami. "I came from the bottom. I've been in the situation that they've been in," he says. "I understand what it's like to have someone tell you you'll never be something, and I feel that I worked very hard to get where I'm at. I could be a good influence to these kids." 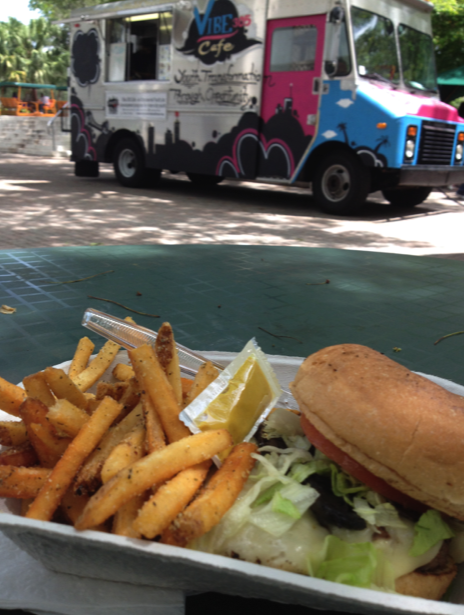 The Vibe 305 food truck serves up items with unconventional names-- like the transformation burger, which features ground chuck, caramelized onions, bacon, colby jack cheese, and a white wheat bun. Alex Velasquez graduated from the program in 2009. He still works with Empowered Youth, now as a manager. He mentors the young men participating in the program now. "I get to talk to them at a more personal level about what they struggle with and how I can help them," he says. "So far all of them have opened up to me, but we're not sugarcoating anything." Velasquez graduated from Miami Senior High and is starting Miami-Dade College in the fall. He plans to study business and hospitality management. Jesus Mendoza is 16 years old. He started the program in December after being court ordered by the public defenders office. 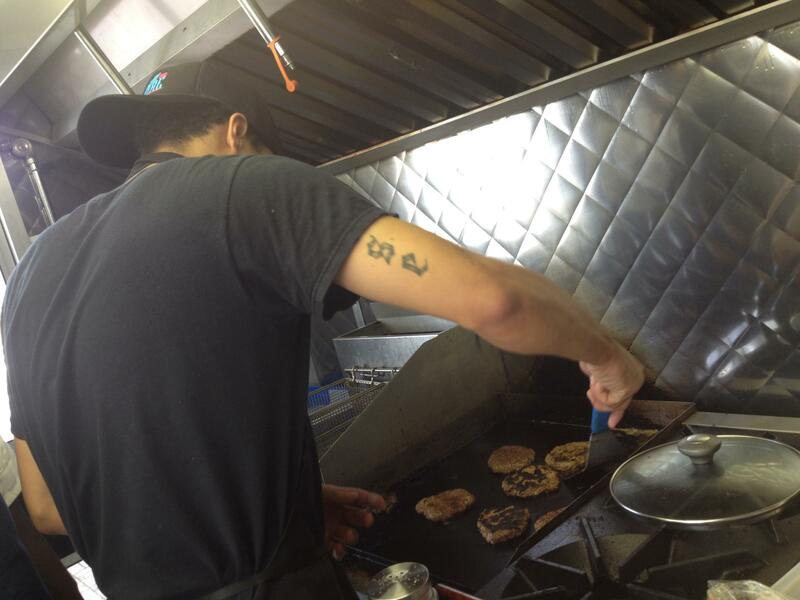 Velasquez cooks burgers in preparation for the lunchtime rush. "They get real into the street stuff and they tell you what's good and what's not," he explains. "And they try to keep you on a good track." Mendoza is still in training. Currently, he preps food on the truck and sometimes takes orders. "The track I was on, it was really bad," Mendoza explains. 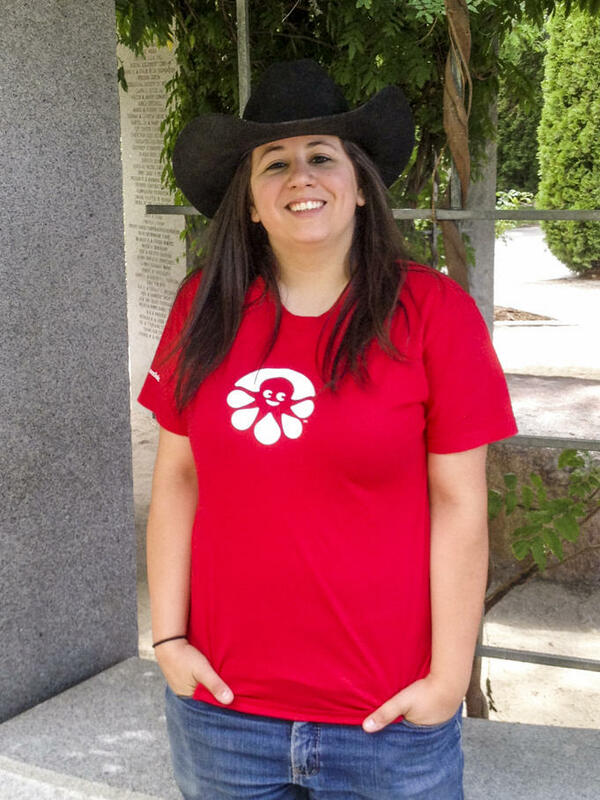 "Without Empowered Youth, I might have ended up dead or in jail. But with Empowered Youth, I might become someone." Colleen Adams hopes to open a Vibe 305 cafe to employ more young men than the food truck can accommodate. To do so, she needs to raise $50,000. Adams says she hopes to open in Wynwood by October.